Founded in 1978, Bay Area Thrashers BLIND ILLUSION date back further than the Thrash Metal movement's origins in the early 80s BLIND ILLUSION ranked alongside then burgeoning acts such as METALLICA, ANVIL CHORUS and EXODUS on the San Francisco scene. Guitarist Marc Biedermann formed the group with keyboard player Ben Heveroh but by 1984 the whole band had drifted apart leaving Biedermann solo. A new act was assembled in 1984 with Biedermann joined by guitarist Pat Woods, vocalist Dave Godfrey, bassist Geno Side and drummer Mike Mihor. 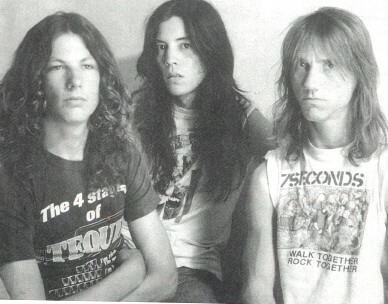 This line-up soon fractured when Godfrey joined HEATHEN in 1985. 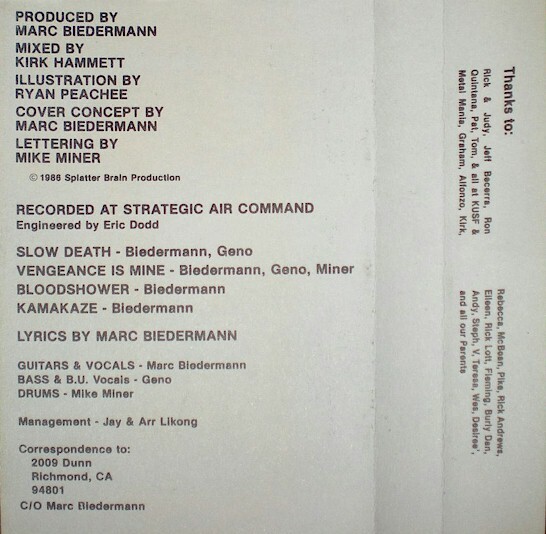 Biedermann took over lead vocals for their next demo tape 'Blood Shower' / 'Smash The Crystal'. BLIND ILLUSION was also then joined by bassist Lester Claypool. Outside the confines of the group, Claypool would pursue a project band with guitarist Todd Huth being basically the prototype for PRIMUS titled PRIMITIVE. 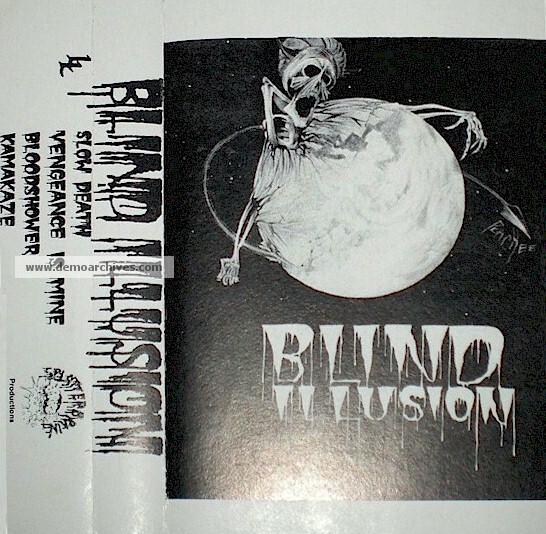 BLIND ILLUSION recorded demos produced by METALLICA guitarist Kirk Hammett as a trio of Biedermann, Claypool and erstwhile BLIZZARD drummer Mike Miner which secured a deal with British label Music For Nations subsidiary Under One Flag. Prior to recording the band added second guitarist John Marshall. This liaison was short-lived however, with Marshall, a guitar technician with METALLICA at the time, departing to fill in for an injured James Hetfield on a METALLICA tour before joining METAL CHURCH. 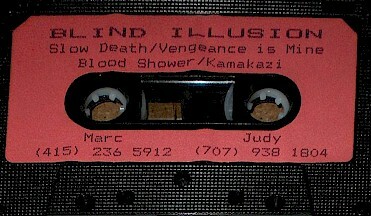 BLIND ILLUSION thus added ex-BLIZZARD and POSSESSED guitarist Larry Lalonde in May 1987 but the new guitarist joined Claypool decamping to create PRIMUS.